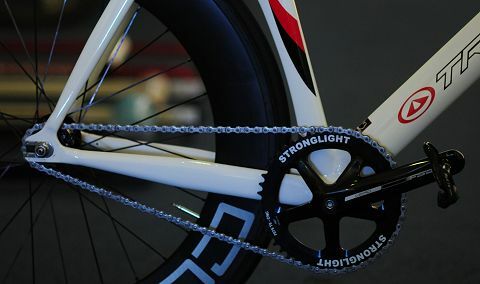 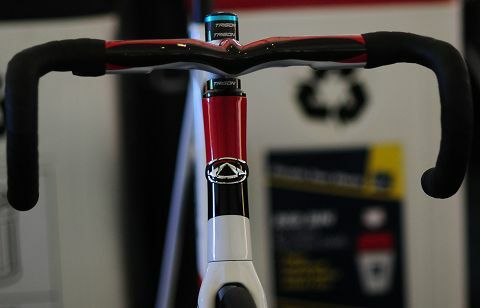 The one Joey was riding at Revolution 38 (below) is a pretty standard Trigon except the wheels and bars. 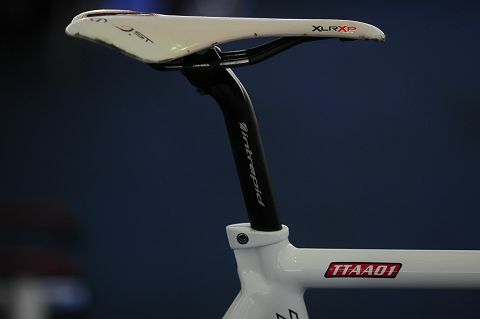 Air-foil blade design for aero-dynamics and stiffness. 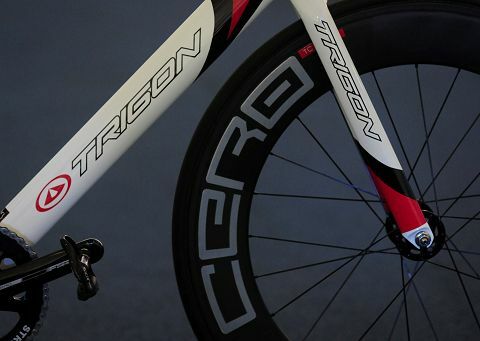 The Cero track wheels are Tubular only and Cycle Division have those pictured or the Cero Viper disc and 5 spoke which again are tub only. 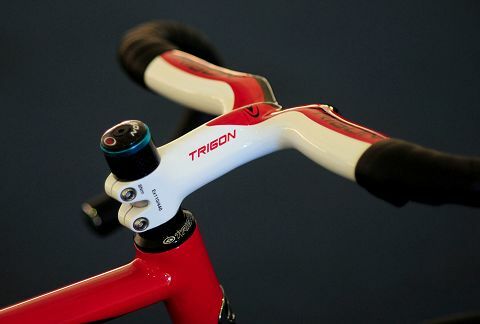 The handlebars on Joey Walker’s bike are are the Trigon RB117 road bars, which can double up nicely for track bars for Sprint/Endurance events. 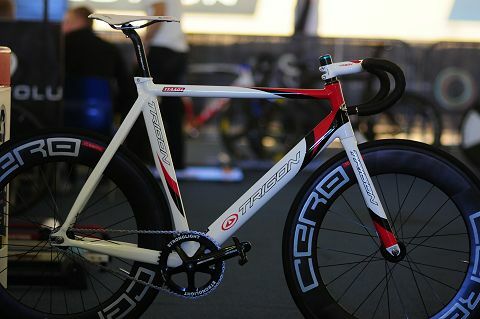 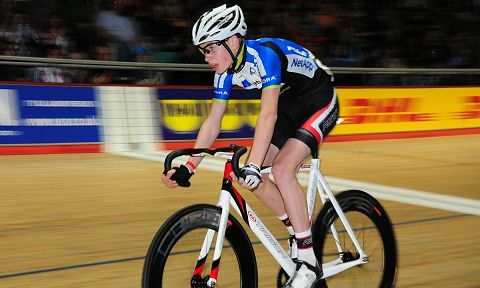 Joey Walker on the Trigon track bike. 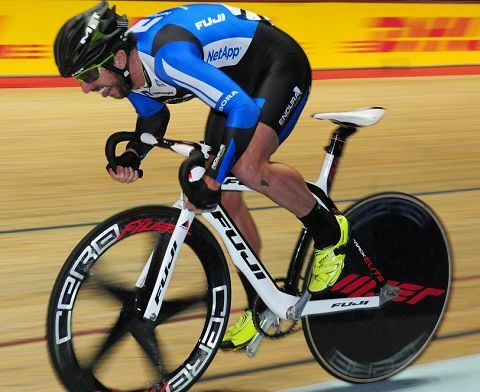 Russell Downing on his team bike with the Cero wheels from Cycle Division.